If you are not really in the know about Anthem Lights…let’s just say that you ought to be. Once a quartet signed to Reunion Records, the group originally known as Yellow Calvier unveiled to us their self titled project back in the day (2011), complete with standout songs like ‘Can’t Shut Up’, ‘Can’t Get Over You’ and the pop/rock radio-friendly sensation, ‘Outta My Mind’. Since their splash into the world of pop/CCM years ago, they have undergone many personnel changes- basically Kyle Kupecky and Alan Powell out, pursuing solo careers in music and acting respectively, and Joseph Stamper and Spencer Kane in. Nevertheless, through all these changes, one thing has still been the same- their passion and hope in Jesus, all the while creating original songs and covers of pop melodies that have managed to widen their fanbase to people who enjoy and listen to primarily mainstream music. While the quartet are not ashamed to declare what they believe, their ability to deliver powerful covers means for them to give hope and encouragement to a group that would otherwise may not have heard the group if they had only been exclusive in their singing of faith based songs. Anthem Lights, ironically, have become more popular and famous, mostly on the internet with their covers and original material, since their move off a label, than prior. Spencer, Joey, Caleb and Chad have reminded us that poignancy, vulnerability and edifying can come in a number of different ways, and Anthem Lights have undertaken such a task with dignity and poise, delivering what I reckon to be some of the best and well thought out covers I’ve heard in quite some time. Enter in 2019, where we see one of the members release a side project- Chad Graham unveiling to the world an album called First, dropping February 15th, a collection of worship and inspirational covers that has impacted himself, all of which have been recorded over the last month and a half, compiled into an 11 track album. While I reckon some covers work better than others; what Chad has is enthusiasm, and a very high pitched voice that works well in this circumstance. Chad’s First is a must if you are a fan of Anthem Lights, of acoustic worship/praise music, or both! While many can seem to think that this album release is unnecessary, because of the fact that there are countless renditions of many of the songs available on this album, I beg to differ. Chad Graham, in my opinion, is the best, technically speaking, singer out of everyone in Anthem Lights, and we’ve always known of his passion to sing worship and CCM songs, as evidenced through the slew of cover songs he’s unveiled to Youtube over the last year and a half. And so to unveil 11 CCM songs in their entirety that have touched our hearts, encompassing the last year, is only a natural progression. In fact, listening to these tracks, be it full covers or mashups, makes me appreciate the original songs all the more, as much of this project is undertaken acoustically- meaning that the lyrics for me are more profound and pronounced as Chad uses his voice to assert his declarations over the acoustics to create soothing and calming renditions of already powerful and popular songs. And with one glance through the tracklist, we are blessed to listen to such a chart-topping tracklist. 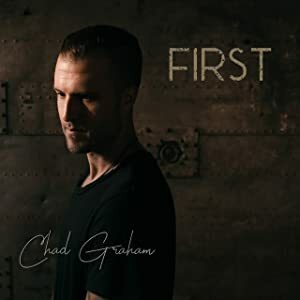 ‘What A Beautiful Name’ (Hillsong Worship), ‘Even If’ (MercyMe), ‘First’ (Lauren Daigle), ‘Reckless Love’ (Cory Asbury), ‘Hills and Valleys’ (Tauren Wells) and ‘Starlight’ (Bethel Music) have all been standouts over the last few years, and are all given the Chad Graham treatment, ‘Starlight’ being a duet with his wife Fallon Graham and ‘Even If’ adding to it a refrain of ‘I Can Only Imagine’, in tribute to the movie of the same name that released last year. Even the mashups are interesting and exciting to hear, though some are more cohesive than others (the TobyMac and Lauren Daigle mashups are next to seamless while the Newsboys mashup sadly leaves much to be desired!). Nevertheless, this project continues to highlight the power of the song that transcends the artist, period. Chad reminds us that cover versions can easily be as powerful as their original counterparts, in fact, Chad’s cover of Tauren Wells’ ‘Hills and Valleys’ is very well choreographed, and for me, as enjoyable, and maybe even more so, than the original! With the album instrumentation being acoustic guitars and Chad’s voice (in ‘Reckless Love’, Chad attempts at accapella), it is in these stripped down acoustic conditions where the power of the lyrics in these songs are accentuated and highlighted. Releasing in its entirety in a week or so, you can listen to all of the 11 songs and watch them all as acoustic music videos in their entirety on the Anthem Lights youtube page. And while this project may or may not be an indication of a change in musical direction for Chad himself, til such a time that Chad leaves, let us enjoy these songs and be reminded that a song is so much more than an artist singing it! Well done Chad for these 11 tracks, can’t wait for more new Anthem Lights (or solo material!) in the future!